Roof Overhangs: Overhang boxed-in w/ white vented soffit: 12″ Sidewalls, 12″ Gables. Porch: 10’ x 14′ x 8′ Hipped Porch. (1) 36″ x 48″ window. 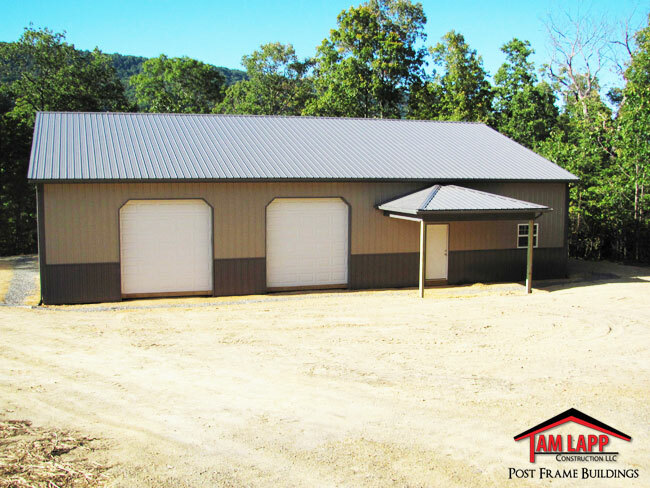 (2) 10’W x 10’H, (1) 12’W x 10’H Garage Doors – DUTCH CORNERS ON ALL 3. Building Colors: Charcoal Roof, Wainscot & Trim – Clay Siding. Everything turned out fantastic Troy got the gutters done today and again everything looks great, got your invoice and the check will go out in the morning. Attached are a few pictures and when I get the time lapse video done I will send that to you also, the camera I setup took 7,432 photos 1 every 30 seconds while work was going on, will make an awesome video. Jason and his crew did first class work and I am extremely pleased with the whole process. 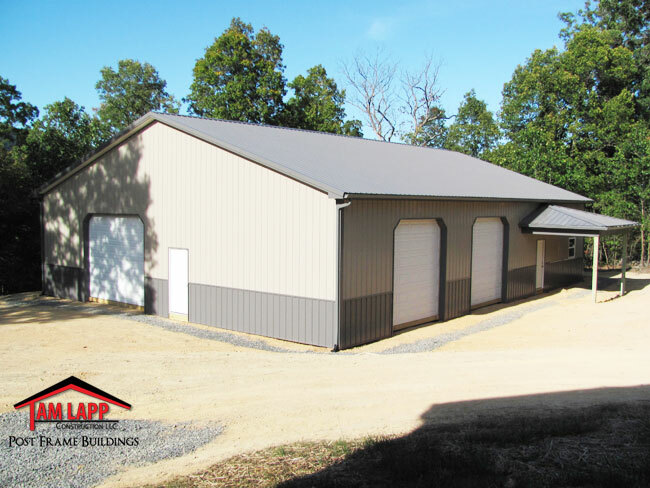 It has truly been a pleasant process working with you and your crews would be glad to (and will) recommend you to anybody that may be looking for a building.